When it comes to teacher appreciation, birthdays, Christmas, or other holidays, I just love making homemade gifts. I don’t always have the time, so I try to make things like this Chamomile Milk Bath in big batches. It will keep for a long time, and when I need a gift, I have something on hand. With the pretty (and free!) 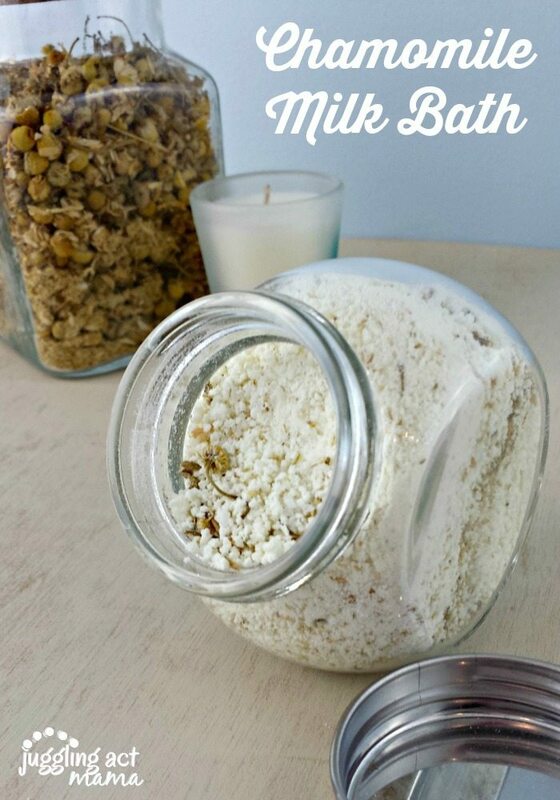 downloadable mason jar lid tag, you can make a lovely gift in no time at all. These make wonderful baby shower gifts, bridal shower party favors, stocking stuffer’s, Mother’s Day gifts, and more. They’re even great if you need a little get well gift for someone. 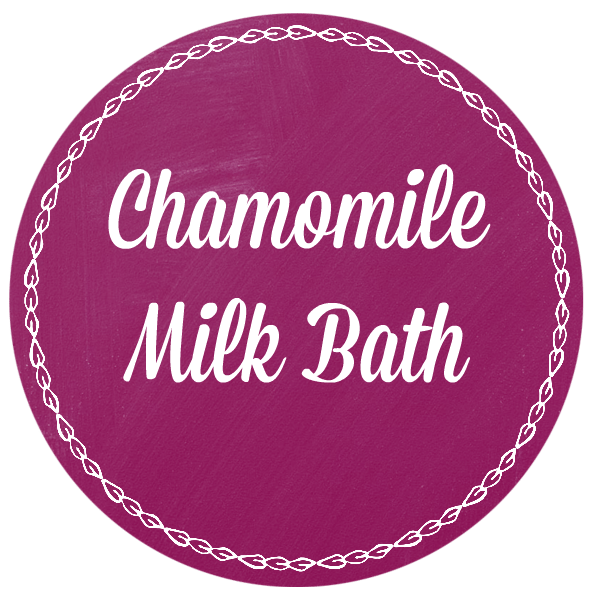 Anyone who loves taking long baths will enjoy this luxurious and soothing chamomile milk bath mixture. Note: this makes about (4) 4-ounce mason jars. Each jar contains enough for 1 bath. 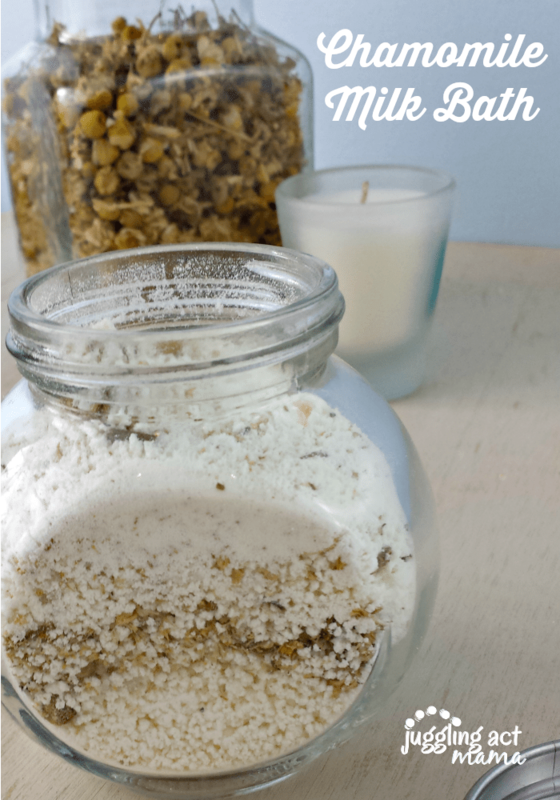 In a mixing bowl, add the epsom salts and lavender essential oil. Stir to combine. Use a funnel to transfer to a jar or other airtight container. Download (click the image below) this simple printable label. You’ll need Avery 5294 labels (or equivalent). You can also print on card stock if you’d rather.